THE event of my diploma. Come one, come all! If you're interested in zumba, space ball, wall climbing, archery, paintball, you wouldn't want to miss this! Also, haven't you heard? 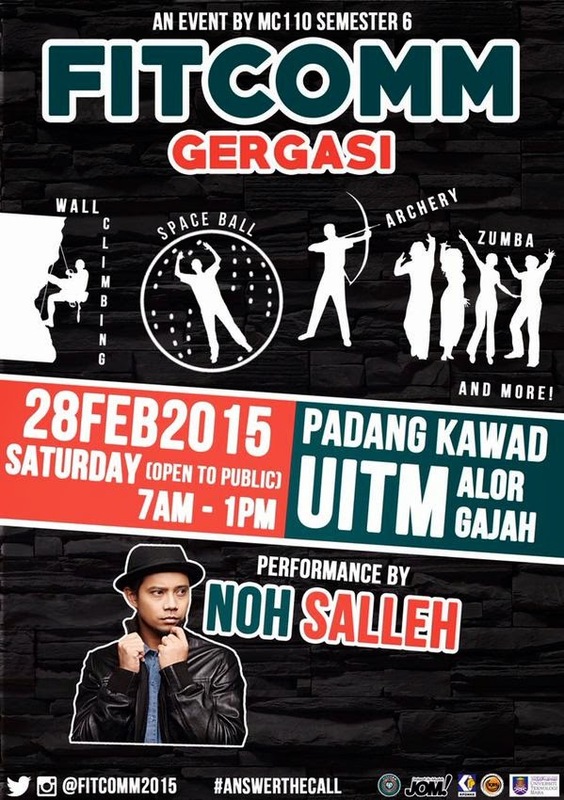 We're bringing Noh Salleh and Diandra Arjunaidi! We've been working our bums off for his. Please let our hard work pay off. On the other hand, Noh Salleh is by far the most humble public figure i have ever worked with. Humble, modest, low-profile; everything. Allah please ease his future endeavors for he really deserves it. Amin.